When it comes to free sports betting picks on sports, there are a number of strategies and systems out there to follow. One of the most popular – and time tested – methods is searching out specific situational spots facing a team. 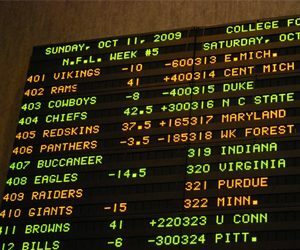 Terms like “lookahead” or “letdown” pop up quite frequently in the sports betting community, but what do they mean and how do you make money off of them? Here’s a breakdown of how to recognize and monetize spot bets. Teams can often get ahead of themselves, looking down the schedule and circling some big games against top teams or hated rivals. And with that focus, comes unfocused preparation for that upcoming opponent – especially if that opponent is a weaker team. The idea behind the lookahead spot is that a team is so focused on that big-name opponent and preparing for them, that they don’t give a top effort against a lesser foe in the game before. We see this in football, from week-to-week, but more so in sports like basketball which have teams playing three games a week. When sizing up a squad, more specifically when looking at bigger pointspread favorites, make sure to check out their schedule after that current game, to see if they could get caught looking ahead, lending value to their weaker opponent. 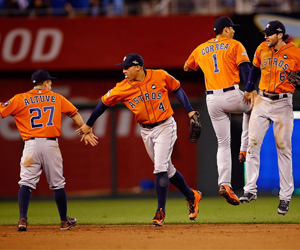 There is a tendency among teams to suffer a bit of a downgrade following a big game – be it a huge upset win or even a closely contested loss to a rival. With so much mental and physical energy put into that marquee matchup, teams can come out flat in the contest immediately following that game. Not only that, but sometimes the oddmakers will inflate a spread based on that big win, even if the team is not as good as that victory would indicate. The best opportunity to cash in on the letdown spot is when a team plays beyond its expectations with a huge upset win in the game prior. Not only are they exhausted from that hard-fought win but they may also have a false sense of accomplishment and come into the next game a little too “fat and happy”. That presents some great value going against those clubs in their following game. The sports schedule is a grueling cycle with teams traveling across the country – and beyond – each week. The schedule spot is just finding unique situations in the league schedule that could present challenges, such as playing three games in four nights or playing on short weeks in the case of football. In those particular situations, you can expect there to be less practice and prep between opponents, low energy among players, and less time for any key injuries to heal up. The schedule spot can also feature extended home stands or lengthy breaks in action. Those can be treated in different ways depending on the makeup of the team. If a team is coming off a long road trip, they can sometimes be distracted in the opening game of a home stand, with family, business and outside priorities taking up their time upon arrival. 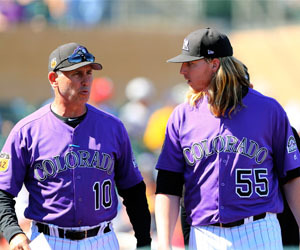 As for lengthy lulls in action, teams can either use those to get healthy, retool their strategy or make roster moves. But in some cases, it can hurt a team as much as help, erasing any momentum and leaving them rusty for their first game back.